Part of our journey to simple living has been about using what we have and by spending money on only on the things we need. Today I reached a particularly challenging part of this journey – what the freak to do with cumquats. We live in a house that was built in the early 1990s and obviously the first owners were a gorgeous gardening couple, as we have lots of fruit trees that up until recently have been completed neglected. One of which is a cumquat tree. I can’t stand marmalade, and neither can any of my family. I searched on google and YouTube, and most posts and videos were about cumquat marmalade. I’ve made my own essential oil – well, at least, I think I have. I put the skins of the cumquats into three small oil jars. I then filled the jars with vegetable oil, as a carrier oil, and I have put it in a deep dark place to steep and develop a scent. Who knows if this will work – I saw one YouTube video on using a similar method with grapefruit. It may take up to five months, but I’ll report back. I think in an oil burner, it will be like orange essential oil. I juiced the cumquats in my cold press juicer and am freezing them into ice cubes. I had a little taste of the juice and it’s bitter but delicious, like lemons. I think this will make a great alternative to lemon butter sauce on fish. 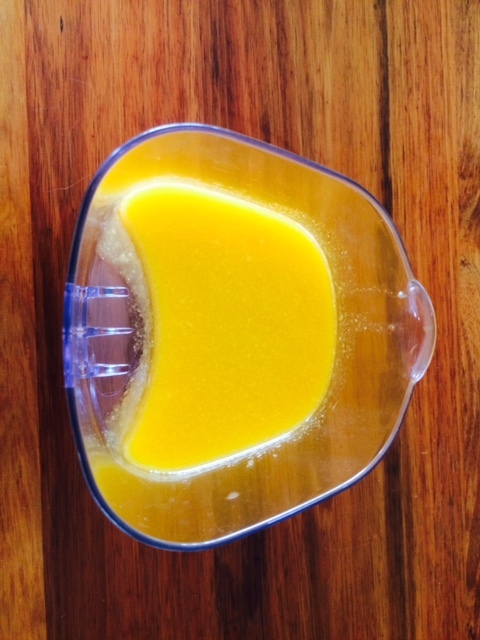 I’ve been making my own lemon cleaner for a while, featured in many blogs – here’s one: http://www.theyummylife.com/Natural_Citrus_Vinegar_Cleaners So this time, I made it with cumquats instead. Easy. Just pour vinegar in with cumquat peel into a glass jar with a lid, and shake up once or twice a week for a month or so. Strain liquid into a squirty bottle, add water and voila! Refreshing surface cleaner for the kitchen benches, sinks and table. I’ll let you know how this simple living experiment goes in due course. The nagami cumquats you get these days are pretty good to eat. The older cultivars or ones which don’t get enough nutrients can be very sour and unusable though. yes! I just saw this very fact on an old episode of better homes and gardens. have you got your hands on the Colette yet?? Not yet. Daleys are out of stock and I can’t find them anywhere else. Hard to get into WA as only daleys willing to deal with quarantine.